The elegance of fashion and art in Florence, the craftsmanship of Parma and the sun and nature of the Island of Elba in a mix of success. Our cosmetic line is a completely innovative method for skin care, combining the best ingredients of top cosmetic products with the properties of ozonated oil, obtained and stabilised according to an exclusive patented process. 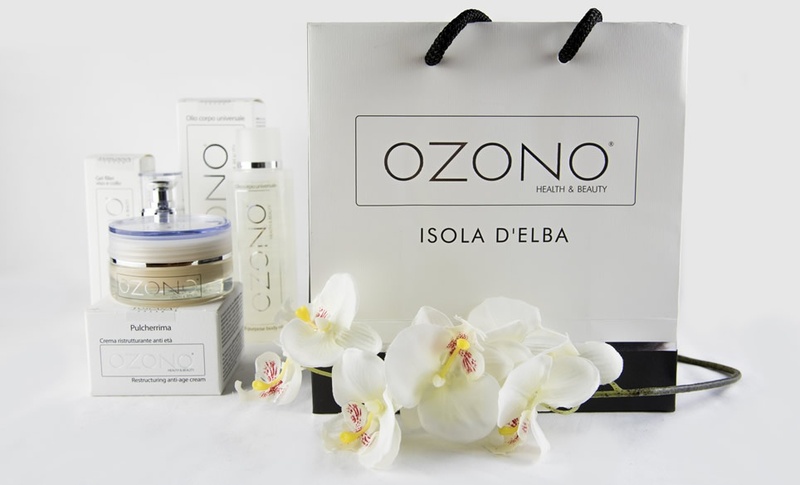 The use of products containing ozonated oil in dermo-cosmetics considerably prevents cellular aging, creating an antioxidant action, removing skin blemishes, moisturizing and protecting the skin from external agents and making it bright and pleasantly smooth. The products of the line of OZONE Health & Beauty hair are hypoallergenic, gentle on the scalp and leave hair glossy. The oil component brings ozonized oxygen to the root, favouring the growth phase of the hair and protecting against dandruff.